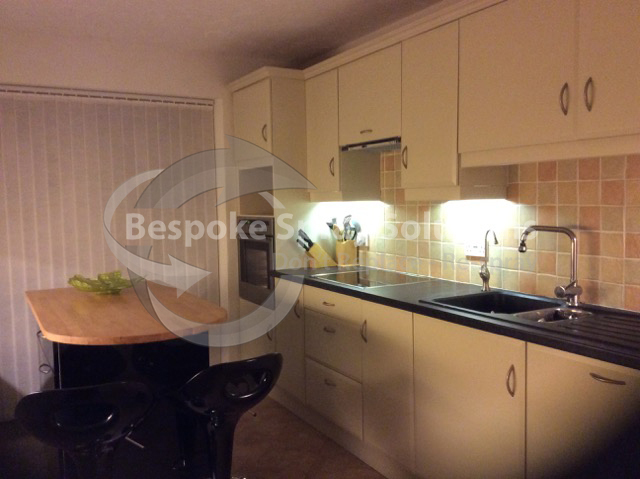 We can restore your kitchen or bedroom back to their former selves or provide them with a new or modern look. Receive a “straight from the showroom” finish at a fraction of the cost. 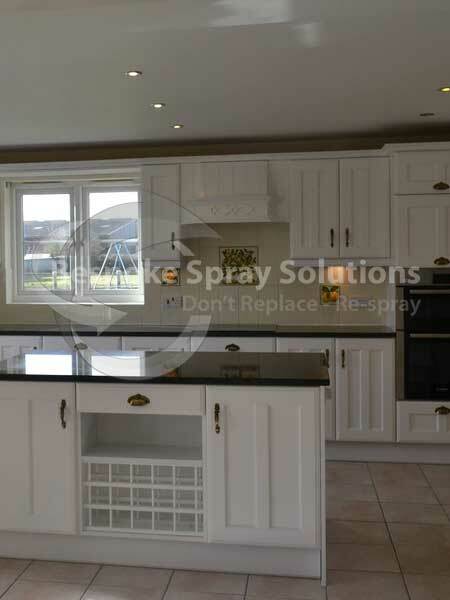 Bespoke Spray Solutions offers a professional spray painting service to transform tired and out-of-date kitchen cupboards, doors and furniture to make them look as good as new. 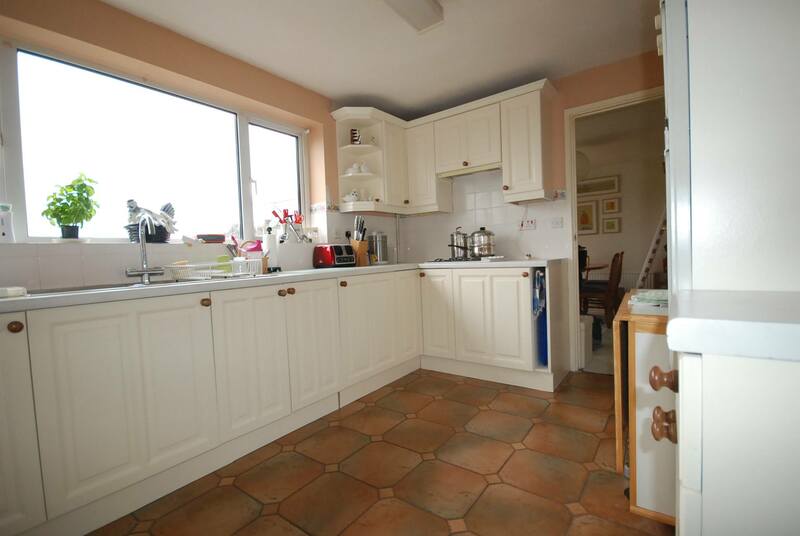 There is no need to find replacement kitchen doors or cupboards, instead you can save money by having them re-sprayed. Our team of experienced spray painters have worked with customers throughout Northumberland, Tyne and Wear, Durham, Gloucestershire, Wiltshire and further afield. The cupboards are one of the first things that you see when entering a kitchen, if they look old, worn or grubby they can really stand out having a negative impact on your kitchen’s overall appearance. 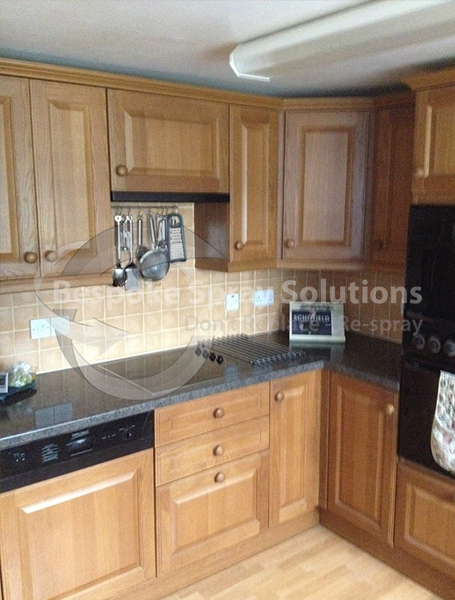 Our kitchen re-spray service is both more efficient and economic than hand painted kitchens, saving you time and money. If you have old, tired or dull looking furniture including wardrobes, drawers and doors, instead of throwing them out, get them re-sprayed. We can restore them back to their original colour or change the colour to match the style of your home. Re-spraying your furniture is good for the environment and great for your wallet. We tailor your requirements, giving you complete control over the restoration, allowing you to choose the colour, finish and gloss levels. We can help you restore the character in your furniture or give it a fresh, new look. Instead of hand painting, re-spraying can help reduce the mess and time it takes to transform your furniture. Re-spraying your kitchen cupboards or bedroom furniture is more economical, efficient and environmentally- friendly than replacement. 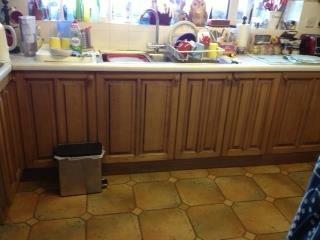 My kitchen was in good repair but tired looking, and quite frankly I was bored with it! I approached the company hoping to give it a makeover. 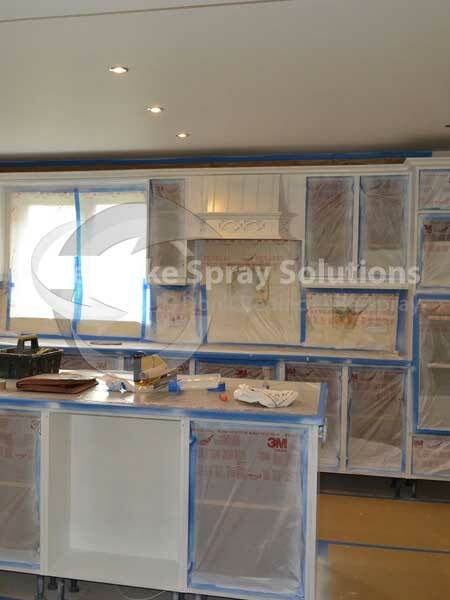 Bespoke Spray Solutions talked me through the whole process and I am glad I went for it. The colour choice was enormous, the service was great, the end result is fabulous and the work was carried out carefully, speedily and with no mess. We are extremely pleased! 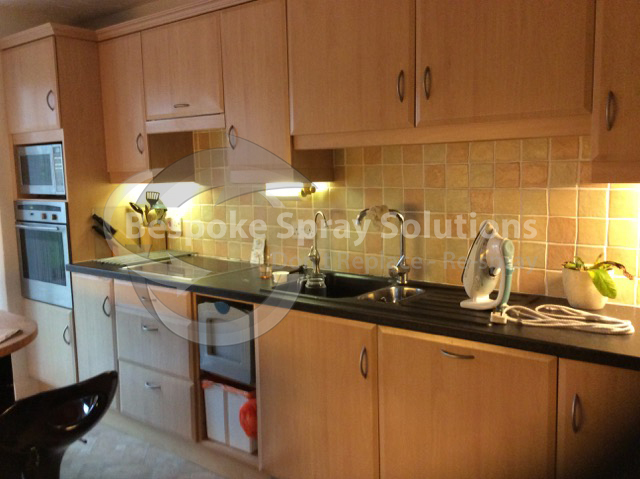 Bespoke Spray are organised and efficient when it comes to getting the job done. They helped me choose the right colours and replacement handles for the best look possible. 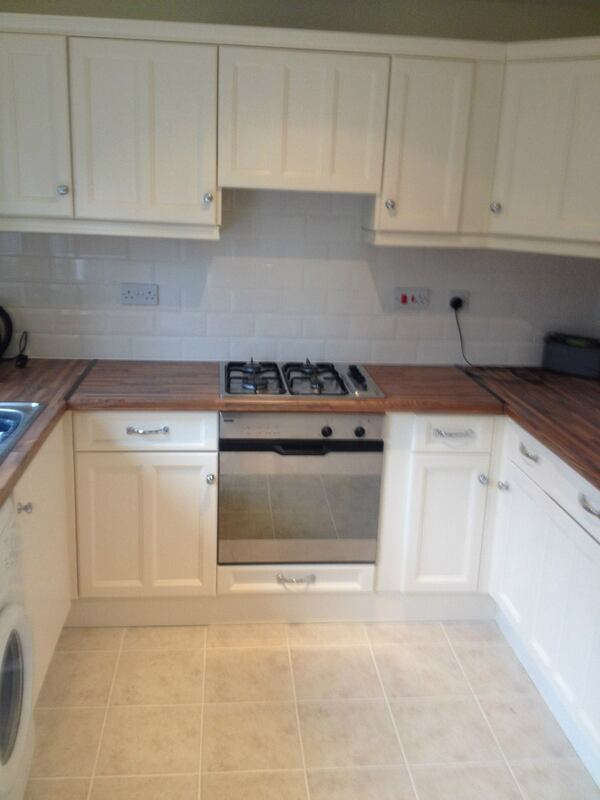 Thank you for all your hard work on our kitchen, we are so pleased with the results. 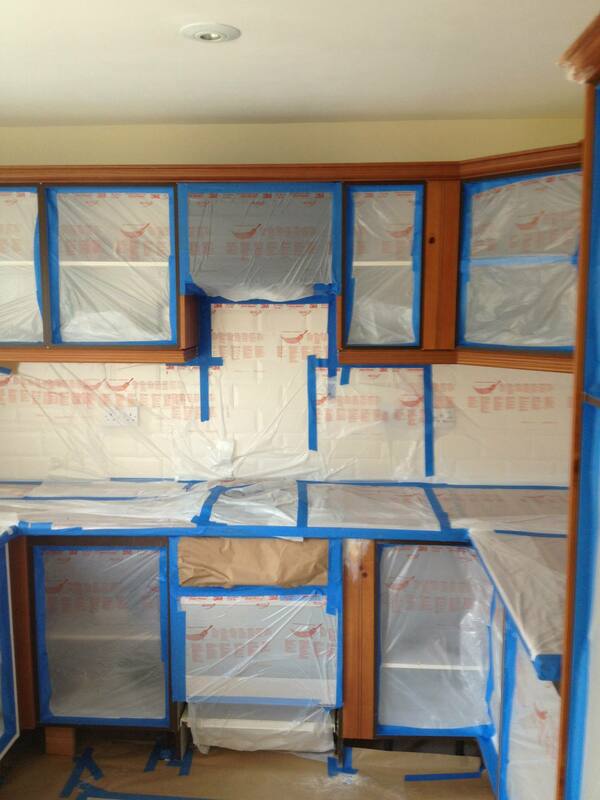 Before you carried out the re-spray we were considering buying a new kitchen, we are so glad we decided not too! We are very pleased with the recent transformation our kitchen has undergone and are happy to recommend Jeremy Latham and his companies work. Disturbance was minimal as all removable items were taken off site to spray and just the fixed frames were masked and finished in situ. Although of good quality we were unhappy with the original dark brown wood finish. We did also considered 'replacement' doors etc., but the cost difference was an important factor. Now with good attention paid to detailing by Bespoke Spray Solutions we have a bright, light and modern looking kitchen and are extremely pleased with the result. We would like to thank you so much for all your hard work in transforming our kitchen. We are delighted with the result and hope the attached pictures will help anyone who is thinking of having their doors re sprayed.